Over the last few years there has been an increasing trend with major sneaker companies endorsing hip hop artists. From Jay-z getting his own Reebok sneaker awhile back to Lil’ Wayne being featured in the latest LeBron James Nike commercial. 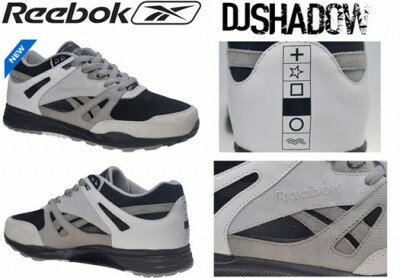 I guess those rappers were a little to unreliable because sneaker companies are now teaming up with DeeJays to produce limited edition sneakers, with Clark Kent customized Air Force 1’s and now DJ Shadow has teamed up with Reebok.